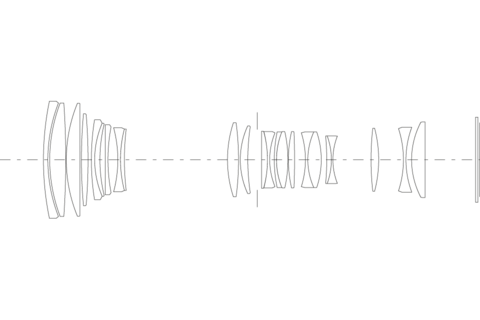 The zoom range of the fast Leica APO-Vario-Elmarit-SL 90–280 mm f/2.8–4 follows on directly from that of the Leica Vario-Elmarit-SL 24–90 mm f/2.8–4 ASPH. Together, these two lenses cover a full range of focal lengths extending from 24 to 280 mm. The newly developed dual internal focusing concept enables the fastest autofocus found in any professional camera system. Its optical image stabilisation (OIS) compensates for up to 3.5 stops of camera shake. Of the 23 elements in seven moving groups, seven are made from glasses with anomalous partial dispersion for the minimisation of chromatic aberrations. The movement of the two focusing elements is provided by a newly developed drive concept with linear positioning of the lenses by stepping motors. A special feature of this is that the overall length of the lens does not change when either focusing or zooming. The lens hood supplied with the lens suppresses undesirable reflections and stray light. The lens also has a removable tripod plate for attaching it to a tripod. Its ergonomic design makes the lens easier to carry by hand and allows the attachment of a lens belt. A lockable rotating tripod collar allows the lens to be fixed at any angle. The collar has detents every 90 degrees for rapid switching from landscape to portrait format.